The Albert Edward Bridge spans the river Severn at Coalbrookdale in Shropshire, England. 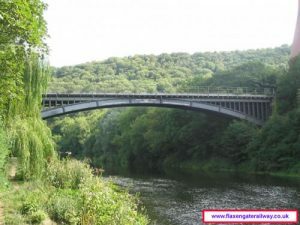 The bridge was completed in 1864 and is now used to carry coal trains to the nearby Ironbridge/Buildwas Power Station. Part of one of the power station’s cooling towers can be seen on the right of this photo. 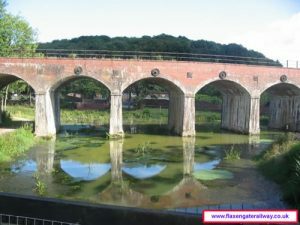 Railway viaduct over a pool in Coalbrookdale. 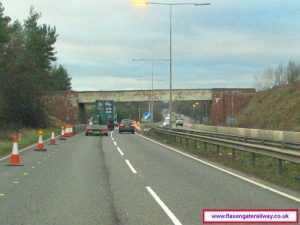 the line is now used to take coal to Ironbride/Buildwas Power Station. 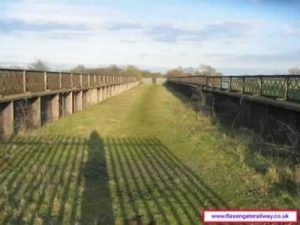 Disused railway bridge near Washingborough in Lincolnshire. Taken 21-02-2007. 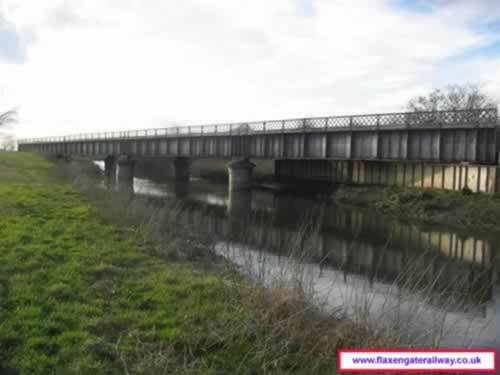 Another photo of the disused railway bridge near Washingborough, the bridge spans the Sincil Drain and was part of the former line allowing trains from the Lincoln Loop to use the Lincoln Avoiding line. Taken 21-02-2007.